Going to the library is always something that my kids look forward to doing, but during the summer they especially like the summer reading program activities and challenges. This summer the program is Fizz Boom Read, all about science and robots, so my son is definitely interested. 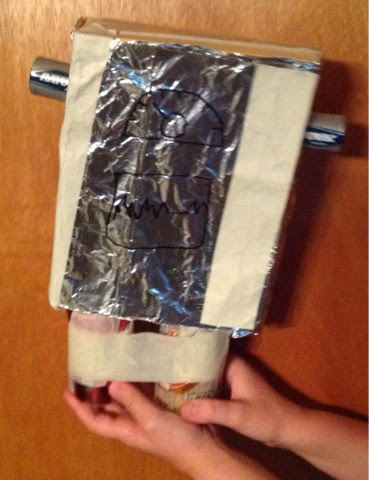 He even designed his own robot. I let the kids' interests guide their reading choices but guide them and approve their selections. Unlike me and his sisters, my son likes to read informational books more than stories. Some of his recent favorites have been Better Than a Lemonade Stand! , The Dangerous Book for Boys , The American Boy's Handy Book , and books about magic tricks. Today's program at the library will be a magic show, and he is looking forward to friends joining us there.